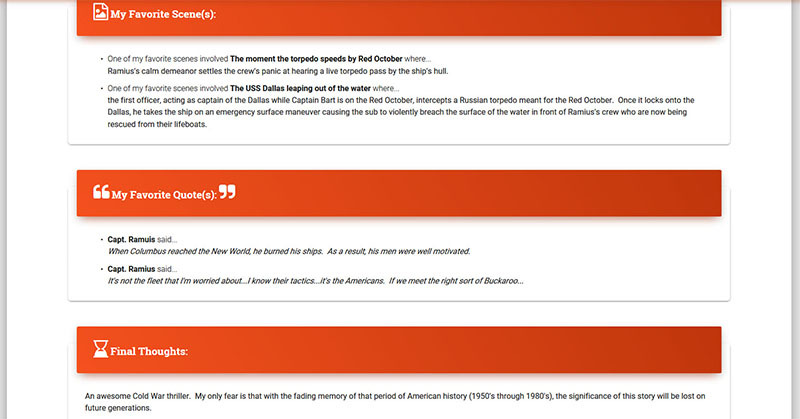 BookJournal.com is a free tool for readers. 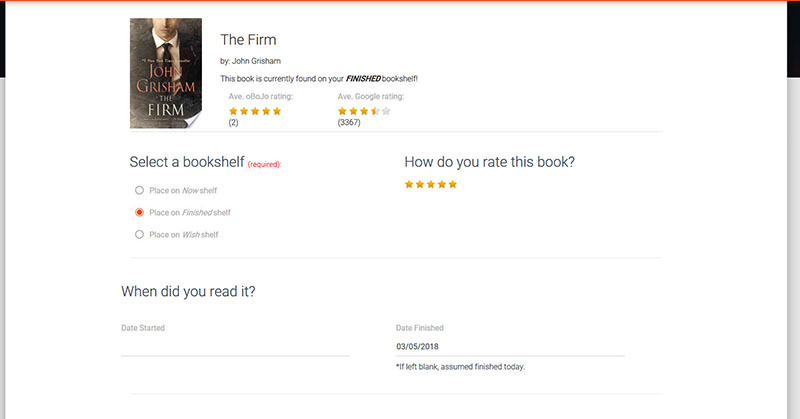 It provides a place to track what you've read, when you read it, how you read it, and what you thought about it at the time. You can see what other people are reading and even review their journal entries. 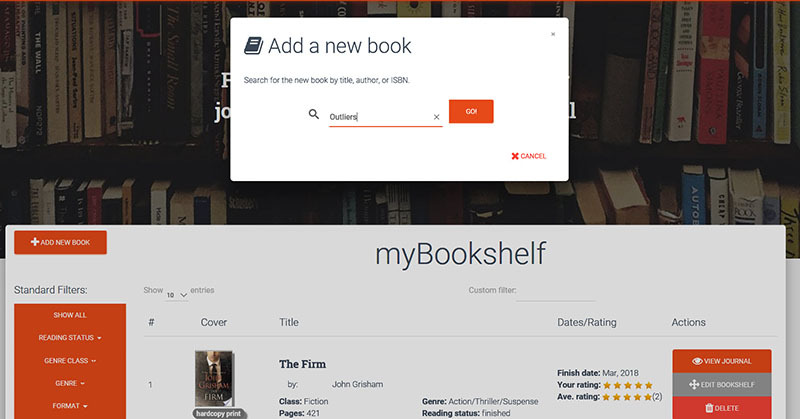 BookJournal.com is a fun and practical way to revisit your books, refresh your memory, and find your next read. 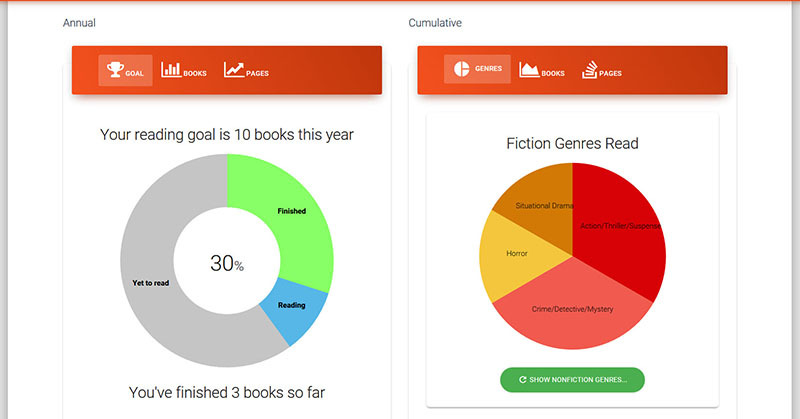 Track your progress toward a reading goal and see the big picture with breakdowns by genre. 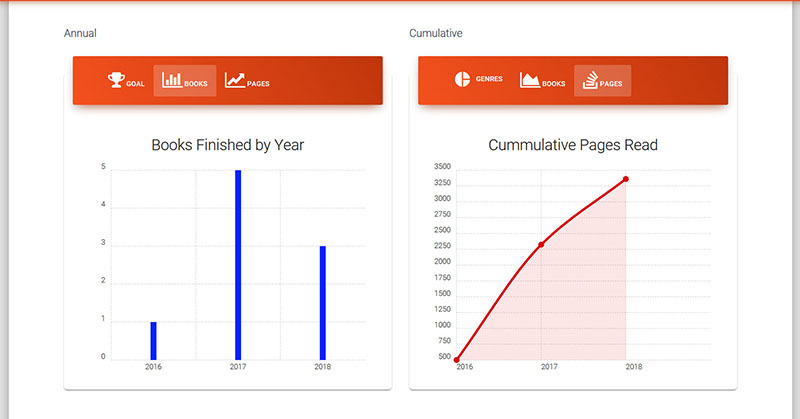 Stay motivated by tracking your progress over time by book and page counts, annually and cumulatively. 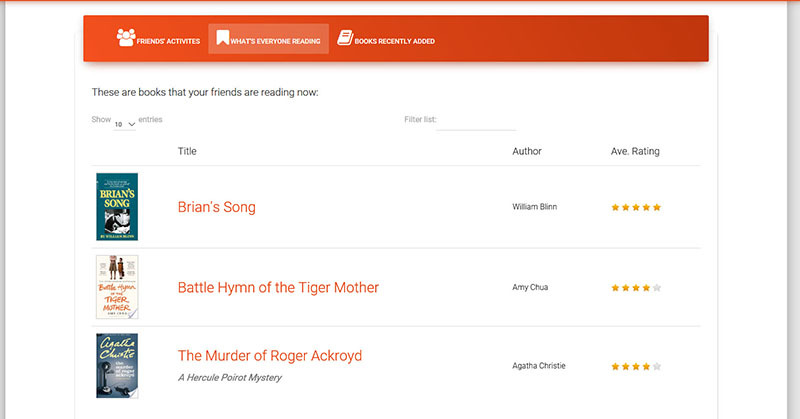 See what your friends are up to, who is reading what right now, and what new books were added. A convenient, sortable, searchable listing of all your books with the information you want to see. All the basic information is automatically created including title, author, and cover image. A powerful search engine can locate a published book by title, author or ISBN. 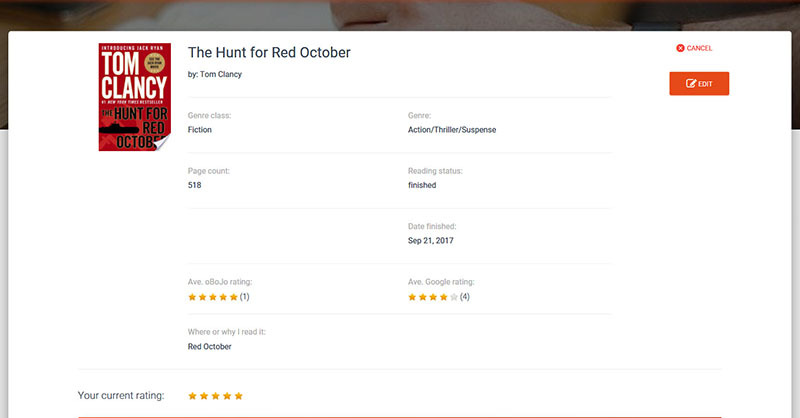 Cover, title, author, rating, and more details are automatically added to your journal entry. Use the default publisher's summary, add to it, or write your own. You're in complete control. 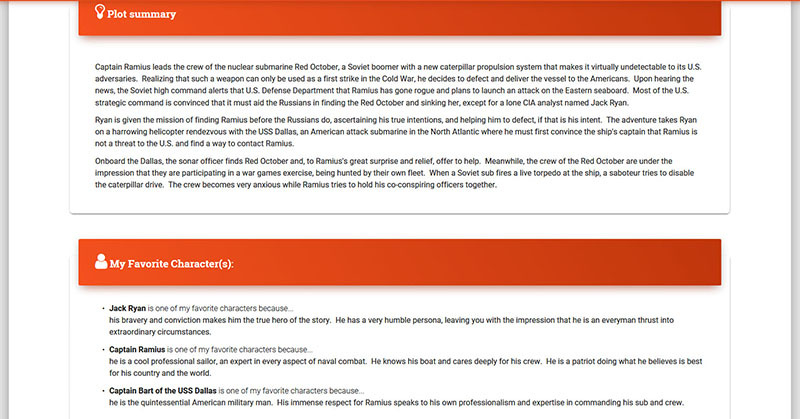 Note your favorite characters, quotes, and scenes. Record your biggest takeaways and create a timeline. BookJournal.com is a subscription service. 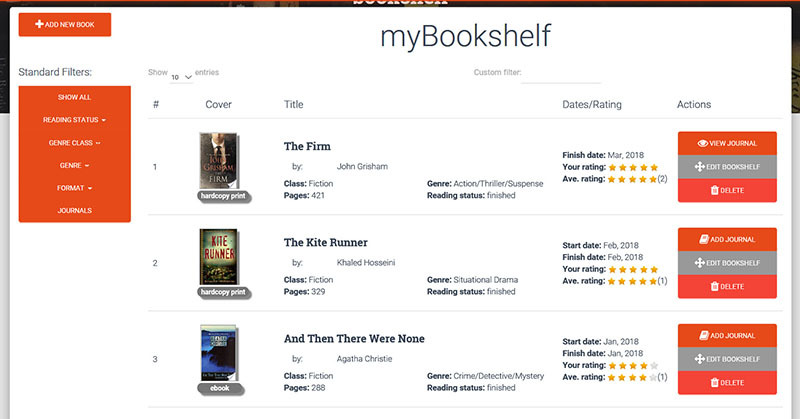 Create an account and begin stocking your bookshelf with your recent reads. Update your journal entries to get those details recorded. Invite your friends to join and share their reading. This site is powered by its user community. If you love books and think reading is something to be shared, then tell a friend, help promote BookJournal.com, and encourage reading anything and everything...in all forms and facets.